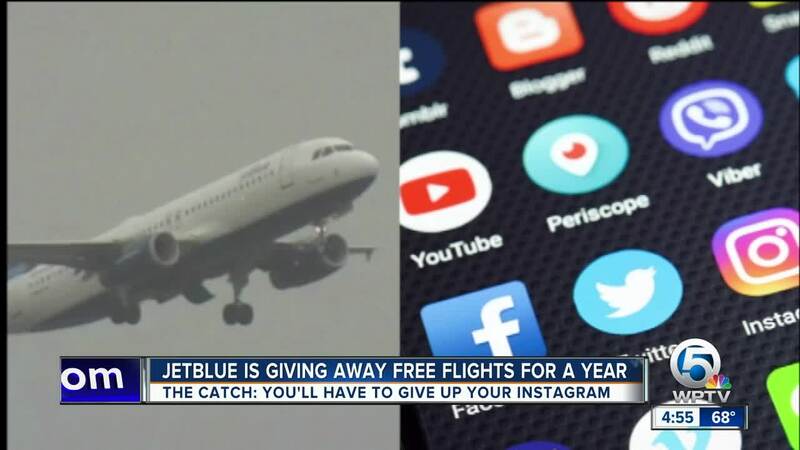 Would you delete all your Instagram posts for a chance to win free JetBlue flights for a year? Would you like to have free, unlimited flights for a year? JetBlue has a new sweepstakes, but it has a few catches. The promotion, called “All You Can Jet,” requires entrants to first delete all of their existing Instagram photos. Entrants then have to upload a photo using a template from JetBlue and fill in the blank "All You Can ____" and then tag the company with #ALLYOUCANJETSWEEPSTAKES. The contest runs through March 8 at 9 a.m. and those who enter have to keep their Instagram cleared of all posts, except their entry, until March 8 at 11:59 p.m. to be eligible to win. Three grand prizes, each valued at $20,000, will be given away. Each grand prize consists of one JetBlue "All You Can Jet Pass" valid for unlimited air travel for one year for the winner, and one travel companion per flight, on any JetBlue-operated flights. Click here for the full rules.